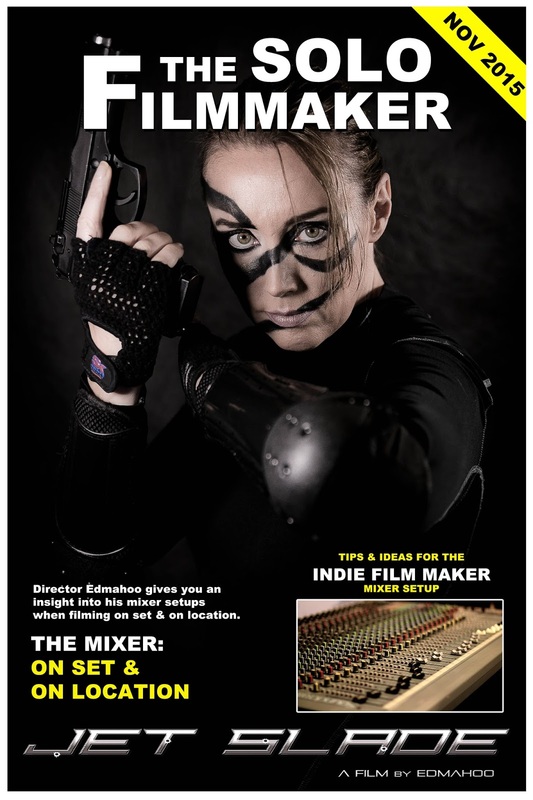 director Edmahoo promises lots and lots of action! It's not going to be easy but... WHO'S READY? We don't know how he does it? He truly is 'A Solo Filmmaker'. about his work on Jet Slade, so keep a look out for it. 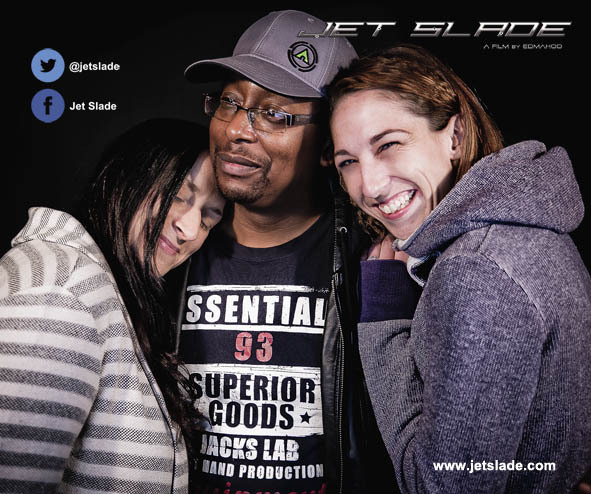 See you all in the New Year and have a great Christmas. Phase II for filming of Jet Slade ended well for December 2015.
to the storyline and scripts had to be altered. 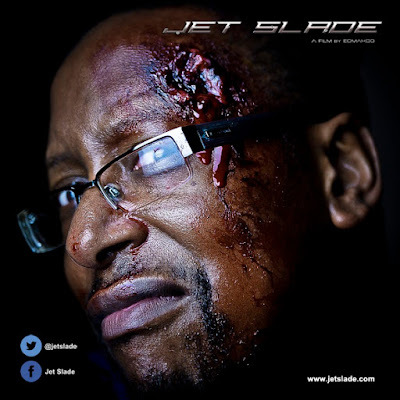 and ready for the scheduled film shoots. The cast for Phase II have performed exceptionally well, way far beyond their expectations. 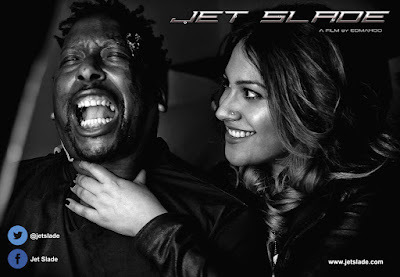 dominant part in the film. 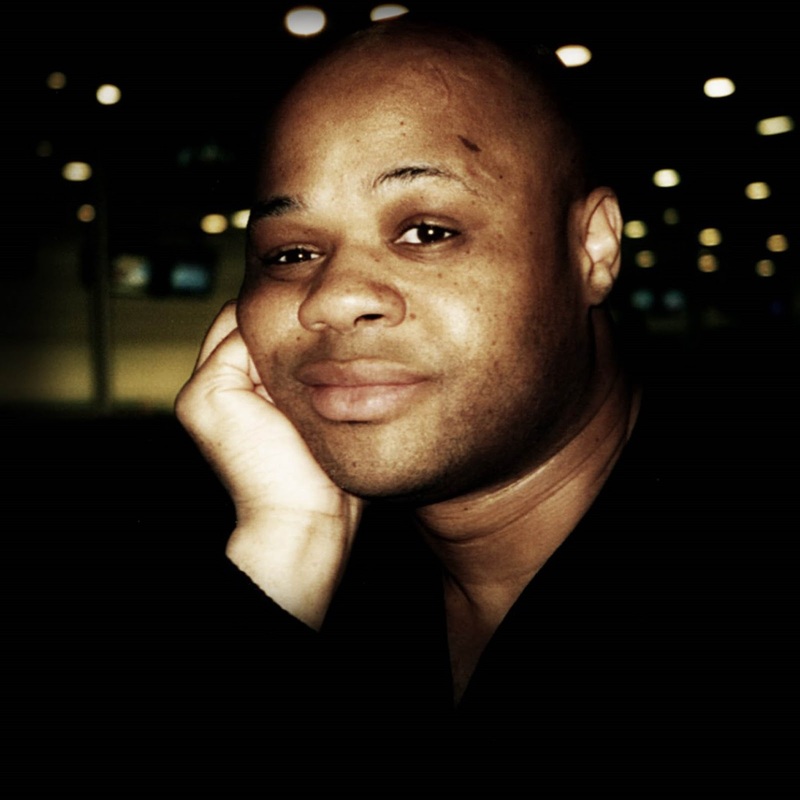 His charisma and eccentricity has brought the film alive. 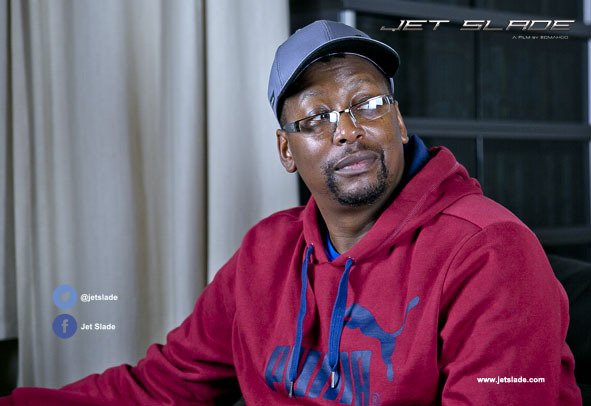 grown and has become more and more relaxed in front of the camera. 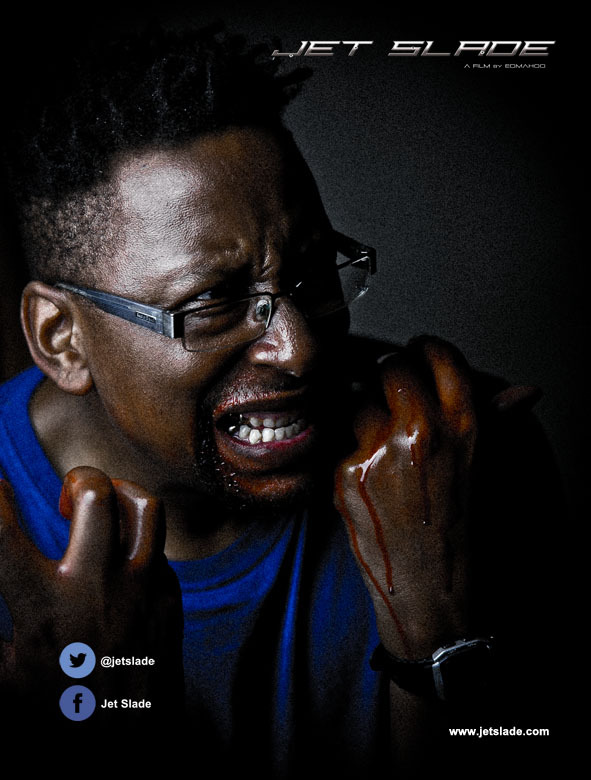 and his character comes alive. 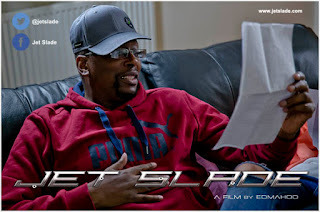 Behind the Scenes shot of Ed the director on set. 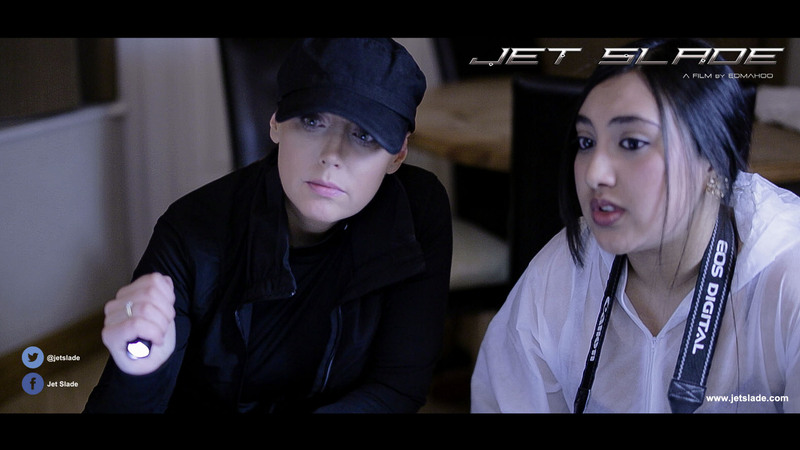 Screen Grab of Wag Doll as Jet and Hena Mikael as the Pathologist. 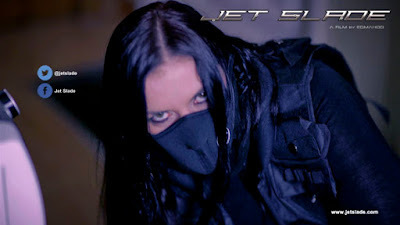 Screen Grab of Lynsey Jayne as a Ruthless Assassin on the set of Jet Slade. 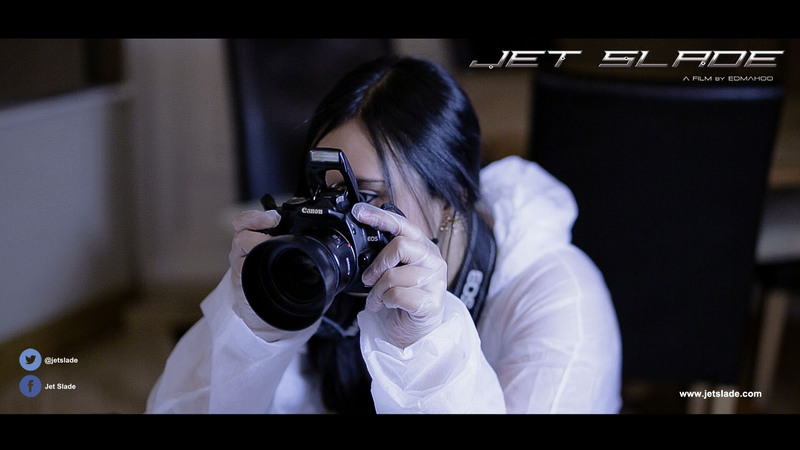 Screen Grab of Hena Mikael as the Pathologist using a Canon EOS 350D DSLR as a prop. From left to right: Ayesha Latif - Hena Mikael - Wag Doll. 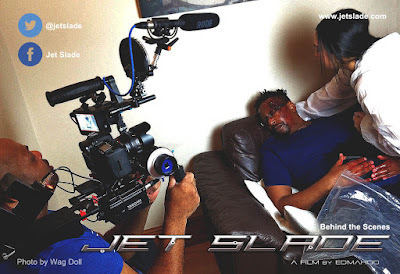 Actor Stephen Johnson with Wag Doll on the set of Jet Slade. Stephen Johnson with Hena Mikael on the set of Jet Slade. 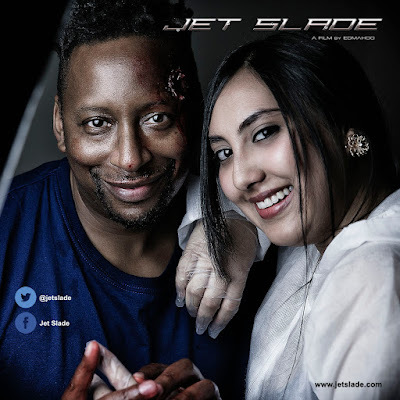 Stephen Johnson with Ayesha Latif on the set of Jet Slade. Stephen Johnson and Lynsey Jayne. 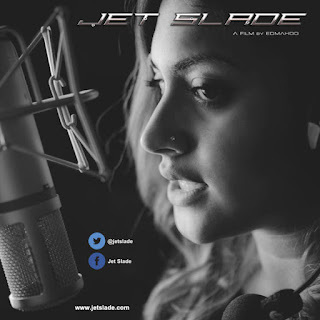 Ayesha Latif on the set of Jet Slade. Stephen Johnson rehearsing his lines for a scene in Jet Slade. 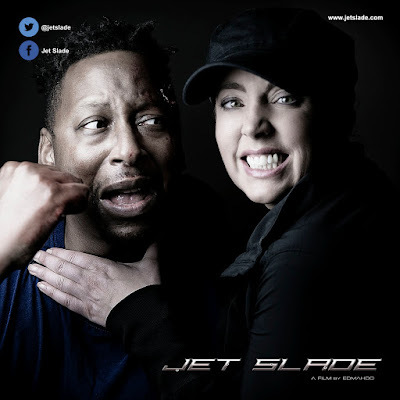 Stephen Johnson with Katie Wood as Stand-In for a scene in Jet Slade. 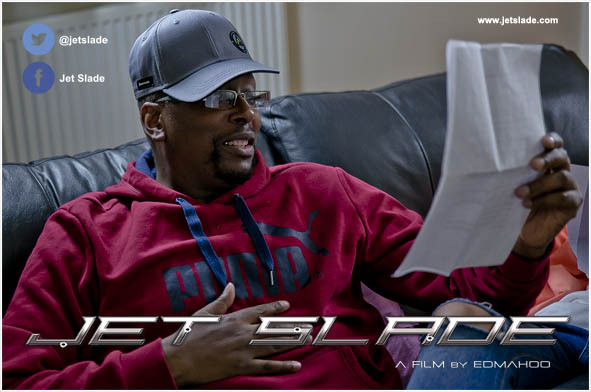 Stephen Johnson rehearsing his lines for Jet Slade. 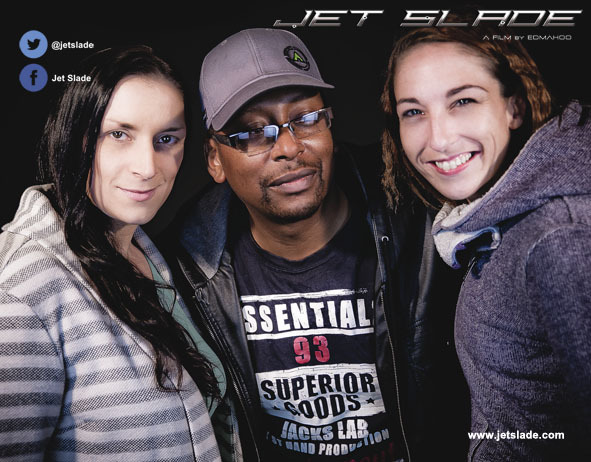 From Left to Right: Lynsey Jayne - Stephen Johnson - Emma Preston. 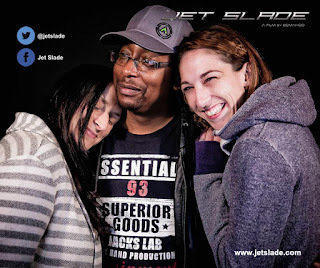 After rehearsing a scene for Jet Slade. 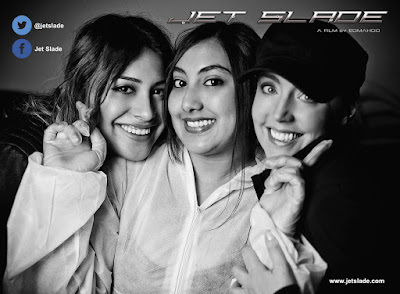 PLEASE NOTE: All photos and images are the copyright of Edmahoo! Lynsey joins the Jet Slade Cast. Her first scene featured Emma Preston and Stephen Johnson (see image below), who have all become really good friends. 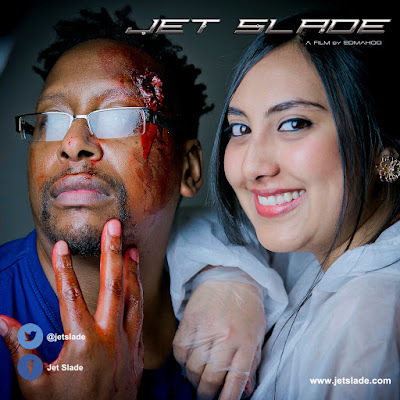 So what did Ed the director of Jet Slade see in Lynsey? 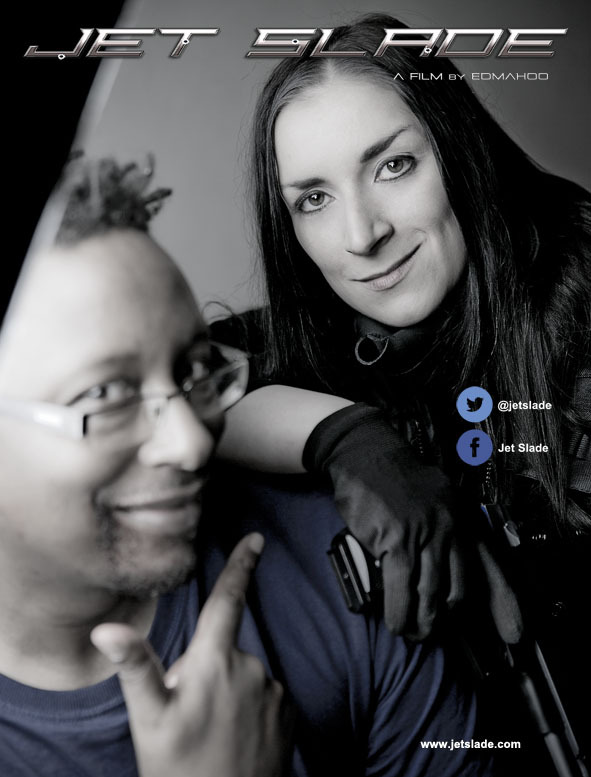 Ed has known and trained with Lynsey in Freestyle Kickboxing for many years, they both received their black belt at the same time. 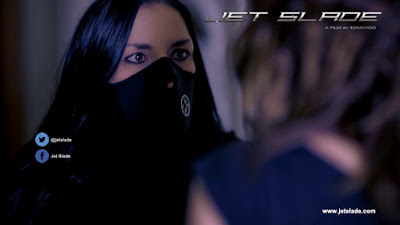 He needed someone who understood fighting techniques and had control as so not to hurt the cast on set, Lynsey has these qualities. 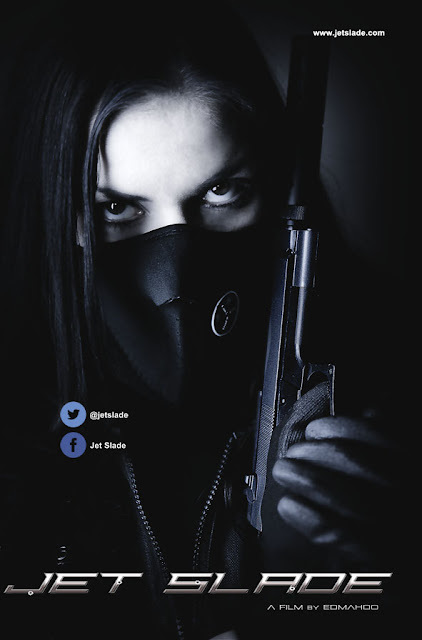 Not only that, Lynsey has very piercing eyes and has a way of manipulating you with just a stare... Ed liked that and knew she'd be perfect to play one of his assassins (see screen grab below). 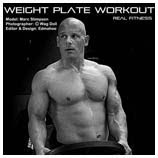 Lynsey is athletic, fit and strong and apart from just being a black belt in freestyle kickboxing, has many fitness accreditation towards her and is a professional personal fitness instructor. 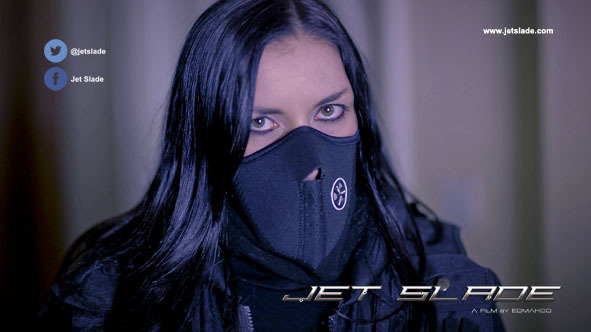 Lynsey is a natural, down to earth person and you would usually see her wearing fitness attire. So when I approached her and told her about the film I was was making, she was excited and happy to help. We really look forward to showing you Lynsey in action when the film is complete. 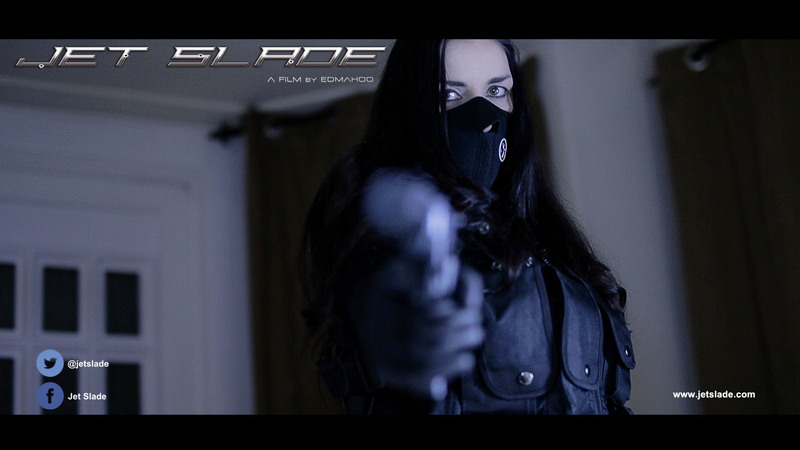 Below are a couple of screen grabs of Lynsey on the set of Jet Slade. Thanks for reading this post, we hope you're enjoying reading our character profiles and they give you an insight about some of our characters and cast members in the film.